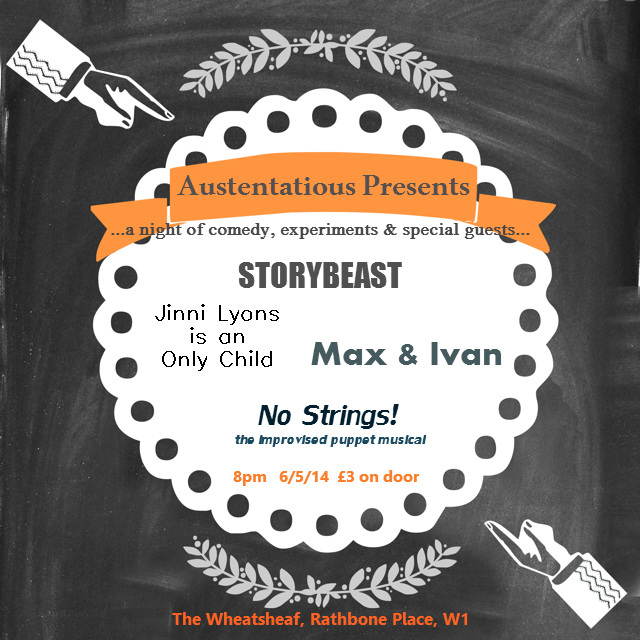 We are delighted to continue our run of experimental improv nights, with our May ‘Austentatious Presents’. This month curated by Amy Cooke-Hodgson and featuring Jinni Lyons, Max&Ivan and others! All for the blissful price of £3 pounds only!